Your 2019 Youth Media Award Winners! Home/Uncategorized/Your 2019 Youth Media Award Winners! 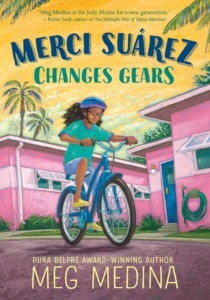 Merci Suarez Changes Gears by Meg Medina (2018, 355 pages). Also available on Overdrive e-book. 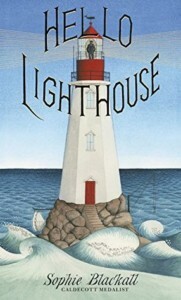 Hello Lighthouse by Sophie Blackall (2018). Watch the days and seasons pass as the wind blows, the fog rolls in, and icebergs drift by. Outside, there is water all around. Inside, the daily life of a lighthouse keeper and his family unfolds as the keeper boils water for tea, lights the lamp’s wick, and writes every detail in his logbook. Step back in time and through the door of this iconic lighthouse into a cozy dollhouse-like interior with the extraordinary award-winning artist Sophie Blackall. 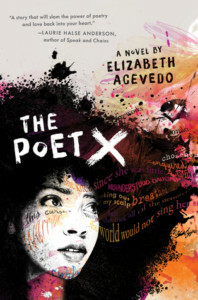 The Poet X by Elizabeth Acevedo (2018, 361 pages). Also available on Overdrive e-book, CD audiobook, and Hoopla downloadable audiobook. Xiomara has always kept her words to herself. When it comes to standing her ground in her Harlem neighbourhood, she lets her fists and her fierceness do the talking. But X has secrets – her feelings for a boy in her bio class, and the notebook full of poems that she keeps under her bed. And a slam poetry club that will pull those secrets into the spotlight. Because in spite of a world that might not want to hear her, Xiomara refuses to stay silent. There are tons more awards included in the Youth Media Awards – lots of options for GREAT books for the young readers in your life. Check out the full list of award winners and honorees here on ALA’s website.